Discover the magic of Disney’s Frozen’s royal sisters and the transforming power of colour-change Anna! Fill the included “perfume bottle” with icy cold water, then spray her crown and dress for magical colour change. Warm water changes the colour back, so the fun never ends! 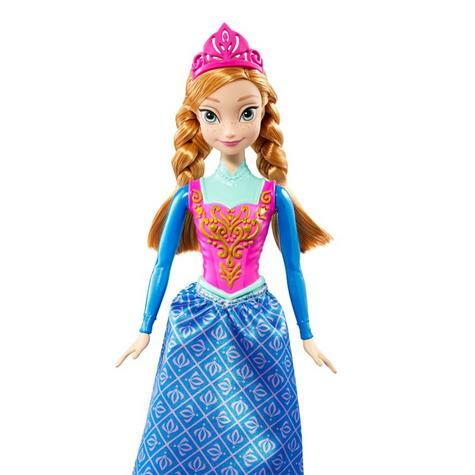 Anna is dressed in her blue skirt and pink bodice with a matching tiara to complete her princess look. 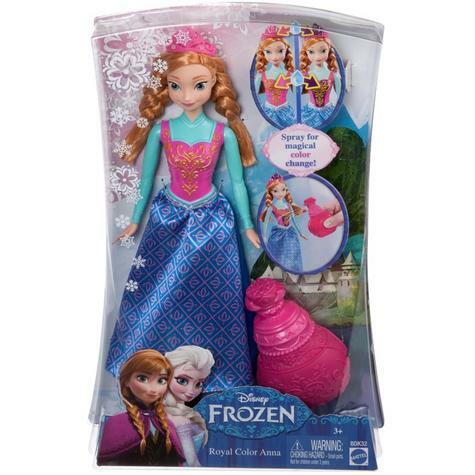 Look for sister Elsa doll (sold separately) to double the Frozen fun! Doll cannot stand alone. Disney’s Frozen is full of magical moments thatgirls can now act out at home! With colour-change Anna doll, girls will discover thetransforming power as they re-imagine enchanting scenes from the film. 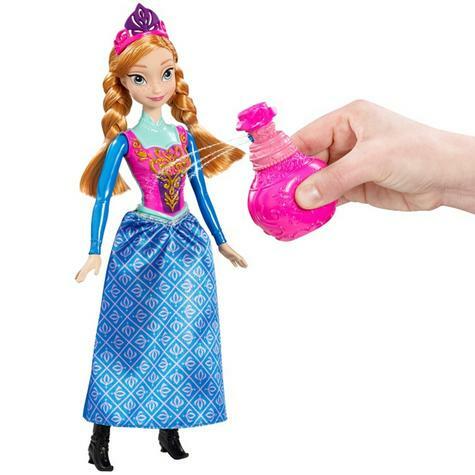 Fill the included “perfume bottle” withicy cold water and spray – Anna’s crown and dresswill magically change colours! 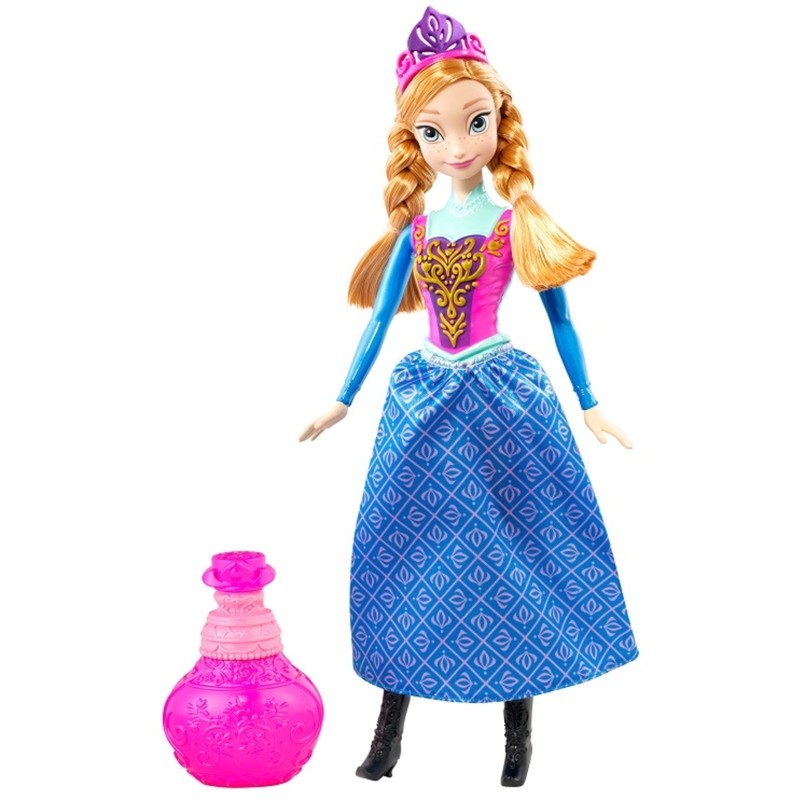 Anna wears her iconic blue skirt and pink bodice inspiredby the movie." 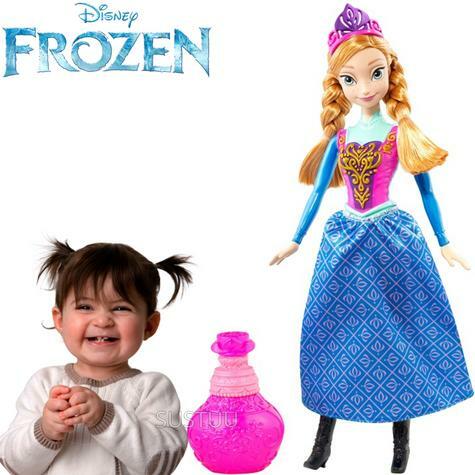 Buy with Confidence from a Disney Authorised Dealer and All Purchases come with a VAT Receipt.